The two-story Library/Learning Resource Center on the campus of Orange Coast College. The challenges of taking over management of a college bookstore — from renovation to re-merchandising, human resources to re-branding — are enormous. 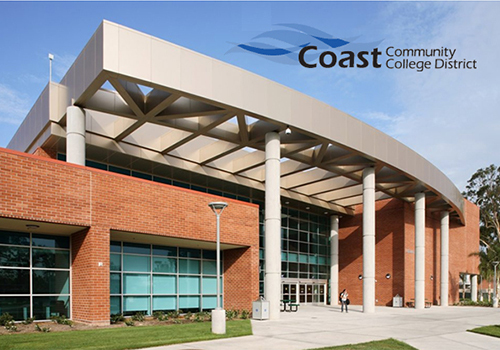 For California’s Coast Community College District, which includes three separate colleges and three distinct campus bookstores, the work of opening all three stores on the same day was triple fold. 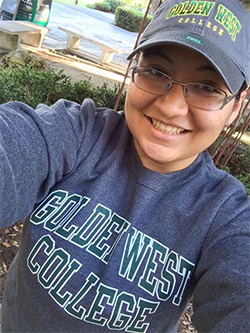 Golden West College student Andrea Carranza snaps a selfie in her Golden West College sweatshirt and hat, purchased from the bookstore. Those distinct classroom requirements can include everything from auto mechanic shirts for the roughly 500 automotive technology students enrolled annually to shelves stacked with shaving cream (the bookstore sells more than 100 cans a month) for the cosmetology program, which uses the foam to simulate hair-dye practice sessions during class. It can also include physical training uniforms for those enrolled in the Specialized Investigator Basic Course (SIBC), which teaches agency employees how to look for fraud, to non-scratch belts for the auto students, which Morris is currently researching. At Orange Coast College in Costa Mesa, Todd Murphy returned to the bookstore when Barnes & Noble College took over management. “It was very helpful for everyone that Todd had been on the campus many years ago,” explained Kate Mueller, Dean of Student Services at the school. “He came with a familiarity of the school and he had worked with some of the bookstore employees previously.” Four of the professional staff members who have agreed to stay on have worked in the bookstore for a dozen years. 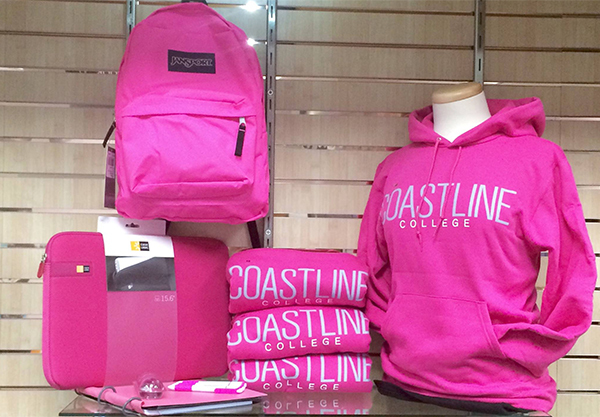 A selection of new school-branded apparel and merchandise is displayed in the Coastline Community College Bookstore.